Thanksgiving and Christmas are wonderful traditions. We get to see family and friends, we send cards to wish everyone “Happy Holidays!”, we give and receive gifts, we put lights everywhere to fend off the darkness that comes earlier every day… Because it is very busy for most of us, except for my dear friend J. who always inspires me to slow down and not succumb to the frenzy, the quiet that follows the holidays is ever so delightful! And leaving the house for a few days really allows for breaking away from the humdrum of daily life. We packed up and left Boston yesterday to go to Maine. Not much snow, but enough for our son to learn to snowboard, and for our daughters to go down the slopes a few times. 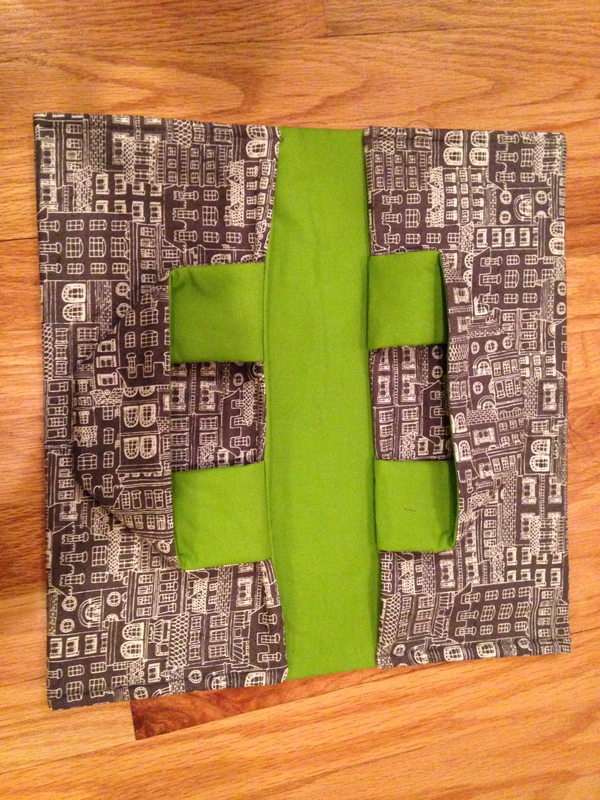 Also, here is the big bag that took me so long to complete! 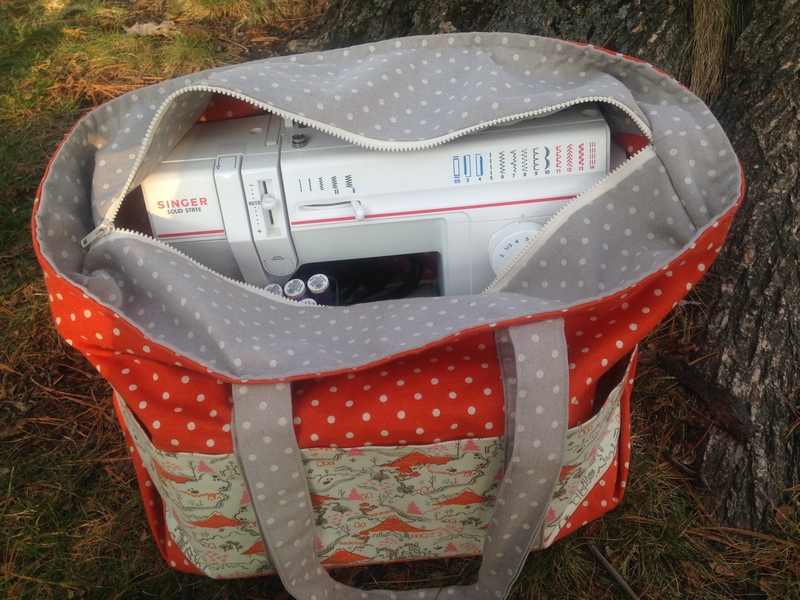 I am using it to carry my sewing machine to sewing class, until I get a rolling case. I wish you a wonderful new year, full of love, joy, and creativity! Lucky you in Maine. It sounds like you will get some time to yourself. I loooove the big bag. 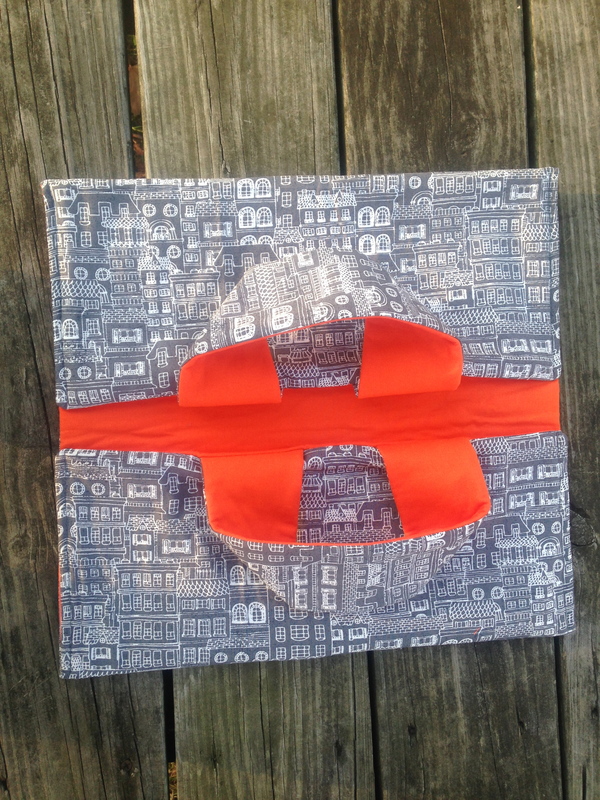 Did you use the weekender tote pattern? I have made a few of those and they are sturdy (I never tried to put a sewing machine in one of them but I’m sure it could hold it well).